About Dr. JOSEPH R. DAUM, D.B.A. 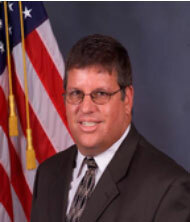 Dr. Joseph R. Daum is the President of GoBu Consulting, Inc retired from the Department of Defense on 2 August 2013 with over 30 years of service. The last 18 years of his career was spent at the United States Special Operations Command (USSOCOM). While there he held several positions including the Chief of the SOF Information Technology Enterprise Contracts Division in charge of Acquisition of Information Technology Enterprise Services and Hardware for the Command. He also served as the Chief of Acquisition and International Analysis & Oversight responsible for Program oversight of all SOF Unique acquisition programs executed under the authority granted by 10 USC Section 167 USSOCOM Commander. He was also responsible for the USSOCOM International, Foreign Comparative Test, and Defense Acquisition Challenge programs. Dr. Daum was also the Acquisition Program Manager for the Special Operations Equipment Advanced Requirements Program (SPEAR) responsible for acquiring body armor, load carriage systems, protective combat uniforms, protective eyewear and other individual equipment items for Special Operations Forces. Prior to that he was The Technical Industrial Liaison Officer (TILO) for USSOCOM the primary interface between USSOCOM and its industry partners. Dr. Daum held positions at USSOCOM as a Contracting Officer and Procurement Analyst for the Special Operations Directorate of Procurement at USSOCOM. As a Contracting Officer, he was responsible for the planning, execution, and administration of contracts for Special Operations unique equipment. As a procurement analyst for USSOCOM, he was in charge of the oversight of all systems acquisition contracting for programs using USSOCOM acquisition authority. He authored parts 15 and 52 of the Special Operations Federal Acquisition Supplement and played an integral part in the development of the Special Operations Acquisition & Logistics (SOAL) Simplified Acquisition Plan (SAMP) guide. Dr. Daum began his career in 1982 as a Business Manager charged with budgeting and financial management responsibilities for the System Engineering Avionics Facility at Wright-Paterson Air Force Base while attending the University of Dayton. Upon graduation he accepted a position as a Contract Specialist in the Copper Cap Management Trainee Program. During the Trainee Program he held positions in the Research and Development Contracting Office, the Reconnaissance and Warfare System Program Office (SPO) and the B-1 SPO in the Aeronautical Systems Center at Wright-Patterson Air Force Base. Following Graduation from the Copper-Cap Program, Dr. Daum spent six years in the F-16 System Program Office as a Contract Specialist and Contracting Officer. He was instrumental in the planning and execution of the Mid-Life Update (MLU) program as a key member of the Integrated Product Team (IPT). While at the F-16 SPO he conducted one of the first public-private competitions as the Contracting Officer in charge of the Falcon UP Source Selection. Dr. Daum is a graduate of the Department of Defense Executive Leadership Development Program. He has a BS in Business Administration from the University of Dayton, a Masters in Business Administration from Wright State University and Doctorate of Business Administration from Argosy University. He also teaches Business, Logistics, Math, Statistics, Program Management and General Studies classes for the University of South Florida, the University of Phoenix, and Embry Riddle University. © 2015 Go Bu LLC. All rights reserved.